The web offers many easy to use tools and programs to design effective and attractive websites. Keeping at least part of the web development process in house will decrease the initial investment and with the right tools, the process is simple enough even for beginners. This step-by-step guide will allow business owners to design a new website easily. The process for selecting a domain name is similar to the process of naming your business. The domain name will become the URL your customers use to visit you on the web. For example: http://www.NewTechCrunch.com. Once you’ve selected the name, you will need to host your website on a server. Services such as HostGator streamline the process by providing both domain name and hosting services. HostGator also offers an award-winning customer support solution that is available to you 24/7. WordPress is one of the most powerful content management software programs available. The user friendly dashboard allows both experienced Web Developers and beginners to create attractive and effective Websites. The WordPress content management software is free however some components such as themes and plugins may come with an additional fee. During the HostGator setup process, you will be prompted to install the free WordPress software. Selecting your theme is one of the most time consuming parts of the web design process. Free and premium themes are available through WordPress and outside vendors such as woothemes.com. When choosing your theme, make sure you take into consideration custom design elements, mobile web use, theme update frequency and available support. Themes located outside of the WordPress dashboard will need to be downloaded onto your computer and uploaded to WordPress. Common distractions such as too many colors, overwhelming menu options or overuse of pictures can cause customers to miss important information and even bounce from your site. As a best practice, limit your navigation to one main menu bar and incorporate a maximum of three colors. The colors on your site should be consistent so it’s important to identify which will be your primary color, your secondary color and your accent color. In order to ensure customers will find your Website on search engines such as Google, you will need to incorporate keywords into your content. Keyword research will be helpful to determine which words and phrases are the most popular in your niche. Proper placement is important so search engine crawlers can locate keywords quickly. As a best practice, add keywords in your both your headlines and within your content. Most WordPress themes do not require any coding experience. Once you’ve installed your theme, you can customize sections such as menus, headers, images and other content from your WordPress dashboard. Free WordPress tutorials can be found on YouTube should you need any help. Before going live, it’s extremely important to test your Website on multiple devices. A growing number of people are searching for Websites on tablets and smartphones. Many WordPress themes have a responsive design while others give you the option to create a mobile version of your site. Now that your page is up and running, you’ll want to market it. Social Media sites such as Twitter, Facebook, Google+ and LinkedIn can be useful. These sites encourage sharing so you get both a strong following and a stream of new potential customers. Following this simple step-by-step guide will allow you to develop a website your customers will find and respond to. One final tip: While you are planning the design of your website, take notes on elements you find appealing on other websites. This simple step will allow you to design a site that fits your vision. 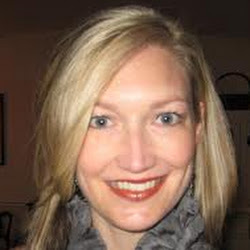 John Moor is a web designer & developer living in Fort Collins, Colorado. He previously worked for various Fort Collins web design companies and now working on setting up his own web business. If you'd like to guest post for US check out our Write for Us page for details about how YOU can share your knowledge with our online community. These are one of the best ideas before going your business online. Everyone should have to must read once before choosing a domain name and setting up business online. Hello There! Thanks for giving wonderful tips and guides regarding web development. It is indeed gives helpful and useful information to everyone. Thanks again for posting and keep the post coming guys! I agree with all the list above. In making or building a website, it is really important to consider those things. Thank you for sharing it to us. for web designers nice tips and very useful are provided. These tips are very beneficial for beginner when they are starting themselves in this field and I too got some good ideas from it. 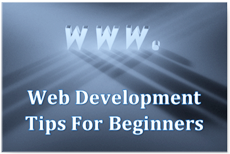 This is really good steps for the beginners for web development. Wordpress is really easy to learn and edit. I love to try new themes and edit them.